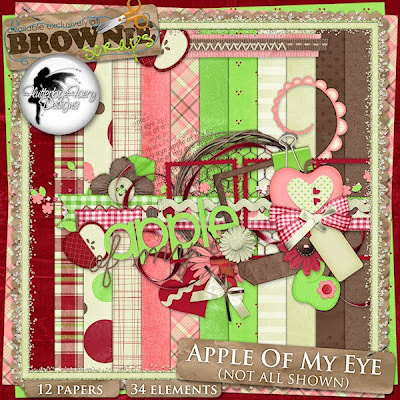 12 papers & 34 elements which include buttons, flowers, apples, ribbons, stitching, frames, tag, scatters, and even wordarts. ALSO if you purchase this kit during the first week you'll get the matching alpha for FREE! AND it's on sale for 25% until next Friday!